ARE REITs RIGHT FOR YOU? 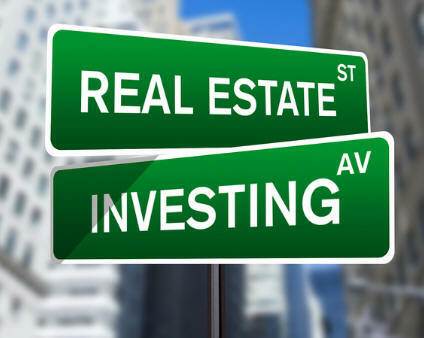 With nobody expecting interest rates to rise much, this is a good time to consider real estate investment trusts, better known as REITs. Why? REITs, which many investors buy for the dividends, suffer in a rising rate environment when the higher rates reduce the relative value of existing dividend streams. Thus, when rates drop, existing dividend streams become relatively more valuable. Most REITs own real estate properties such as shopping centers, apartment complexes, industrial parks, etc., but some invest in loans secured by real estate. Although they trade like stocks, REITs are different from regular corporations. They don’t pay federal income taxes if they distribute at least 90% of their taxable income to shareholders. REIT dividends are mostly taxed as regular income instead of the lower 15%/20% capital gains rate. So it’s best to keep REITs in tax-sheltered accounts. The four REITs I’m going to describe below are unusual for two reasons. First, all are exceptionally fast growers, at least in terms of revenues. That’s important because, no matter whether you’re talking about REITs or tech stocks, all else equal; those holding the fastest growers make the most money. Second, all pay relatively high dividends, ranging from 4.3% to 8.5% dividend yields. Here are the REITs. CareTrust REIT (CTRE): Owns 191 senior housing and healthcare-related properties in 24 states that it leases to third-party operators. Year 2018 revenues rose 15% vs. year-ago. Returns (share price plus dividends) totaled 80% (not a typo) over the past 12-months and averaged 29% annually over the past three years. Quarterly dividends vary with cash flow. Dividend yield based on the last four quarters was 4.3%. Arbor Realty Trust (ABR): Provides financing secured by multifamily, seniors housing, healthcare and other commercial real estate properties. Annual revenues grew 18% last year. Returns totaled 61% over the past 12 months and returned 32%, on average, annually, over the past three years. Arbor has increased its dividend payouts by 65% over the past two years. Current dividend yield is 8.3%. WellTower (WELL): Owns more than 1,000 senior housing, medical office and skilled nursing/post acute care properties in the U.S., Canada, and the U.K. Annual revenues rose 18% last year. Returns totaled 54% over the past 12 months and averaged 10% annually over three years. Current dividend yield is 4.4%. WellTower has not raised its quarterly payout since January 2017 when it announced a 1% dividend hike. EPR Properties (EPR): Owns properties in three major categories, entertainment (movie theaters and family entertainment centers), recreation (golf courses, ski areas, etc. ), and education (charter schools and private schools), that it leases to third party operators. Revenues rose 18% in 2018 vs. year-ago. Shareholder returns totaled 45% over the past 12-months and averaged 11% annually over three years. Dividend hikes have averaged around 6% annually and EPR is currently paying a 5.9% yield. All returns data as of March 25, from Morningstar (Morningstar.com). As always, those are my ideas. Do you own due diligence. The more you know about your stocks, the better your results.